Who wouldn’t love to flaunt a lean and mean avatar? But there are so many different body programs to choose from that it is difficult to zero in on one. So, which is the best amongst them all? Do you know what provides you with the maximum results? We are always racing against time, so we need to get the best results in the shortest span of time! Well, it is impossible, especially if you include a full body workout routine. So why a full body workout routine? Definitely, a good question, so here is the answer! If you are a gym rat you’ll know that specific body exercises are really popular! But it is also catering to a herd mentality; meaning, since the body-builders are doing it, we will also do it. But then isn’t your body composition different? However, what works for top bodybuilders may not work for the rest of us. Simply because not only is their diet different, but also some of them take steroids to enhance their muscle growth. Add to that their genetics, which invariably is always important to build a great physique. So what if you do not have the so-called great genes to boast of and still want to put on 20 – 30 pounds of muscle as quickly as possible? A full body workout is the best way to accomplish this. The fact of the matter is that you cannot ignore full body workouts if you want to gain muscle as you can train all your major muscle groups more often. This, of course, means you can stimulate growth, which can lead to greater muscle growth over time if you happen to recover from it. Of course, there is another reason that compound training works so well as it focuses on workouts that work on different types of muscles simultaneously. So, you are working on more muscles and in lesser time. A workout which is super quick and efficient. Another great advantage of compound exercises is that they have much higher levels of hormonal response in comparison to isolation exercises. So it helps in muscle growth. If you are able to structure a workout right, a full-body workout can work amazingly well. Are you doing the same workout every single day? Well, then hear it from us, it isn’t a very good idea to do exactly the same workout routine every time you go to the gym, as you will have a tough time to deal with recovery issues. How about alternating between different kinds of routines?Also, keep your workouts short. Too many exercises within a very short time is probably a mistake which you shouldn’t be making. A few compound moves can work your body in more ways than one. So, just a few exercises, say three or four good ones can work your whole body pretty well. And you should stop at six. Because in some cases less is sometimes more. And if you do more than the recommended number you will limit your gains. So, what are the exercises that comprisean effective full body workout? We will go by a squat, lunge or even a deadlift variation, a push up and an upper body pull. Additionally, arm workouts at the end are also good to add. Over-exercising is as bad as under-exercising, so perform all these moves three times per week, and you will get the right growth stimulation for maximum progress. Science shows that, short bursts of intense exercise are more effective than longer workouts. Let’s get this straight, most people don’t have the time or inclination to try long, boring workouts. Even if they do, they can’t sustain it. High-intensity circuit training that can be done with just your body weight can help you get fighting fit because it not only improves your cardiovascular fitness but also gives you an intensive total-body workout, provided of course, you do it right. The best part about these moves is that one move is not for one part of your body. Rather, these are compound moves which work more than one part of your body. 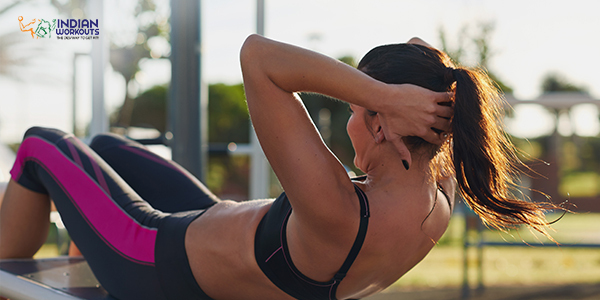 So, you save on time, and however busy you are, you can squeeze a few minutes from your busy schedule for these effective workouts. So, what are you waiting for? Let’s get on with it and activate the muscles you never knew existed! How it works: Three to four non-consecutive days a week, do 1 set of each exercise back to back. Repeat the entire circuit up to two more times. Alternate between a one-minute compound strength move and then follow it up a 30-second cardio burst. Get extra bang for your buck by working a little harder and also faster each round. This is a great exercise to warm up most of the muscles and activate your core. Make it part of your 10 minute circuit training workout and sculpt the muscles and incite your fat burners. Stand and keep your feet hip-width apart and your arms by your sides. Lean forward and you’re your hands out until body forms a plank. Bend your elbows and bring your chest towards the floor, then scoop your chest forward and up, arch back and straighten your arms, and roll forward onto tops of feet.Your thighs should be off the floor so that you go into an upward-facing dog. Reverse the entire movement and start again. 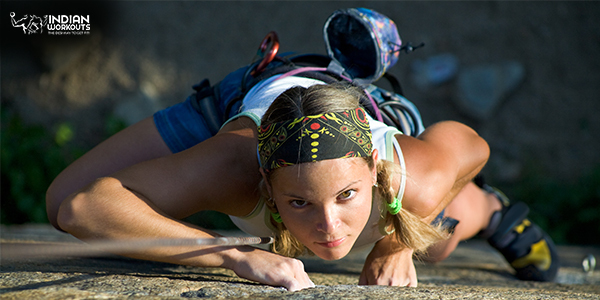 Mountain climbers are a great compound exercise, which means they work on more than one joint and muscle group simultaneously. 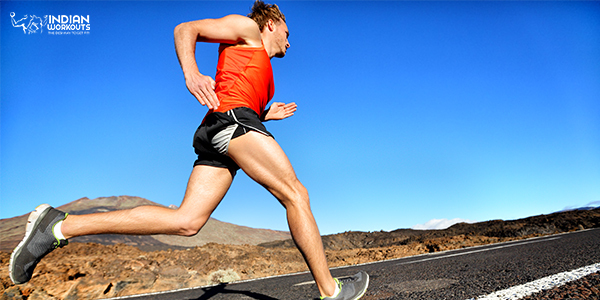 The continuous running motion works your glutes and leg muscles, which include quadriceps and hamstrings. While you hold the upper body in place, alternate the leg positions by pushing the hips up and immediately extend the forward leg back while pulling rear leg forward under your body, landing on your forefeet simultaneously. Start to pull the right knee right towards your chest. Switch sides constantly and repeat. Keep alternating sides as fast as you are able to. Tuck jumps work on your whole body. They can be a part of your High-intensity interval training (HIIT) and it can build muscle fast as they burn extra calories in far lesser time compared to normal workouts. Since you are jumping high, this move can also become a perfect body weight exercise to strengthen and tone up your lower body. Stand with your knees slightly bent, jump up as high as you can and bring your knees in towards the chest while extending the arms straight out. Land soft with your knees slightly bent and quickly jump once again. Stand with your feet hip-width apart and hands on hips. Step your right foot forward and bend your legs until each one forms a 90-degree angle. Push theright foot to return to the standing position. Switch sides and repeat the move. Continue to alternate sides. Fast Feet isa great exercise to add to any full body workout for women, especially if your goal is to work on your speed and agility. This exercise increases your heart rate and gives you a great cardio workout. This exercise is especially good when working on your lower body, you should definitely add this exercise to your workout routine. Stand with your feet wide and keep your knees slightly bent while your elbowsarebent by sides. Keep alternating while you keep your feet slightly off thefloor. Shift your weight from left to right on the balls of your feet. Continue alternating as fast as you can. The alternating side lunge works on your glutes, hamstrings, quads, and inner thighs, and helps to strengthen and tighten your core, calves and also your outer thighs. This exercise helps improve your dynamic balance and agility, and greatly improves your performance and flexibility. Stand with your feet hip-width apart and hands on hips. Step your right foot forward, bending your legs until each foot forms a 90-degree angle. Push your right foot and return to standing. Switch to the next side and repeat. The Hundred exercise in Pilates got its name because you have to hold the exercise for 100 beats. It is a great warm up exercise and can also help you break into a sweat. This abs workout really gets your breath going strong and also getsyour blood moving. Apart from that, it also works on your torso stability and of course, increases your abdominal strength too. The tough part is keeping your head up for so long. If you find difficulty in holding your head up for so long, rest your head on one of your hands and continue with your exercise. Lie face up and bring your knees towards your chest. Lift your head, neck, and shoulders off the mat and stretch your hands by your sides while keeping your palms facing the floor. Extend your legs at a 45-degree angle with keeping your heels together and your toes apart (the classic Pilates stance). Pump your arms up and down while you exhale and inhale and through the nose at the 5 count each. Repeat for 10 sets. A push-up is one of the best functional movements for the entire body. It helps increase strength and engages the core and the lower body. The best part of this full body workout is that you can do it just about anywhere. Mastering the push up may seem daunting at first but give it sometime and you will soon give a neat 20 at the drop of a hat. Get yourself into a plank position first with the right form, that is your arms and legs should be straight and shoulders right above your wrists, keep your core all braced up. Inhale first and as you exhale, slowly bend your elbows and lower your entire body to the floor to a count of six to eight-seconds. This counts as one rep. Note: When you lower yourself to the ground, try your best not tocollapse, yet you have to ensure that your entire body touches the floor. If it’s too difficult to keep up with the stance, shorten the time span and exercise for six to eight seconds and begin with a four to six-second count. Perform this whole-body workout to a total of eight reps. Here is a challenge for you, go ahead do at least 20 burpees and smile through it all! I know I got you! Burpees are a killer, no wonder it is one of the best full body workouts as it includes a squat, a jump, a push-up after that, followed by another jump, a squat, and you end it with an explosive jump. Phew! The burpee works on every major muscle group, so you have to work hard every step of the way! Bend right over and place your hands on the floor before you, just outside your feet. Jump both your feet back so that you are now you can form a plank position. Get on to a push-up and ensure your chest touchesthe floor. If things getdifficult, drop down to your knees here. Push up again to return to the plank position. Jump back to the feet in toward the hands. Jump into the air explosively and reach your arms straight overhead. Don’t forget to stretch your muscles after going for a whole-body workout. Once you get a grip on this workout you can customise your own workouts and will soon get closer to your fitness goals. Just keep it consistent and you are sure to lose weight and gain muscles!